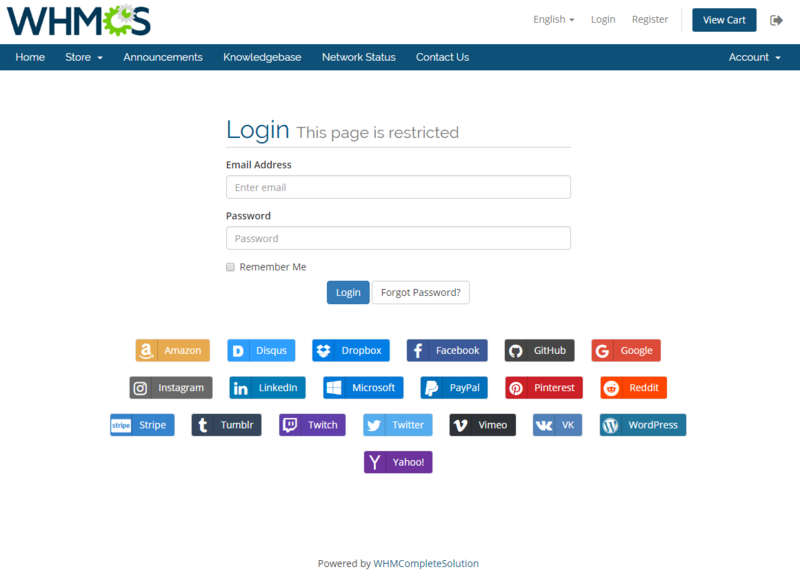 ModulesGarden Social Media Login For WHMCS is a convenient module that connects with various social networks and allows quick login without the need to type in the username, email or WHMCS password. Do not ask your clients to remember further login details to yet another system and let them sign in to your client area with their preferable social media accounts! The module configuration could not be easier. All you have to do is decide which of the supported providers you wish to enable and then create the application on the social media platform site. Choose from the most popular in the world, such as Facebook, Twitter, Google, LinkedIn and many others. Thanks to that, your customers will get a chance to sign up with any available personal details being automatically downloaded and filled out. If already registered, they can log in to your client area with their favorite social network both on the main login page and when placing an order as well. 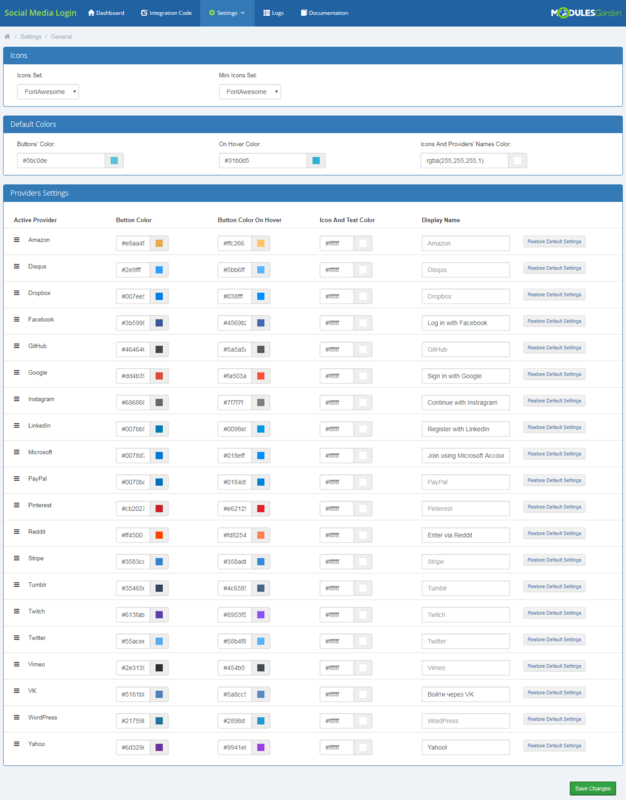 An added benefit arises from the ability of your customers to link their existing WHMCS accounts with any available platform! Move with the times! 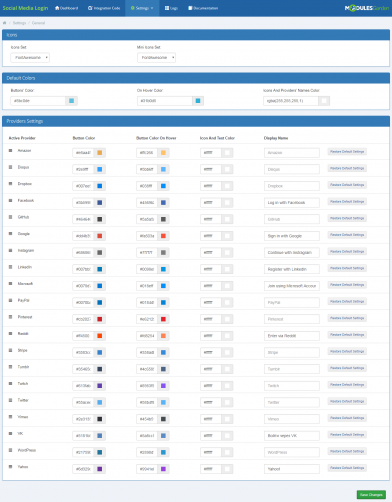 Let your clients compress numerous profiles and access their accounts in WHMCS with a greatly time-saving method. Order Social Media Login For WHMCS and watch your customers enjoying its features to the fullest! As the head of a hosting services company, we have to say that this module is an absolute blessing that's all contained within a simple, easy-to-install and configure packaging. I'm not sure what Scotty Maturin's issue would've been above but for us at least, configuring the OAuth mechanism for each and every social network medium has been extremely easy as this module guides you through the entire process from start to finish, leaving not a trace of doubt in whether you've messed something up. We're more than happy to give this a 5-stars in both the usability and polish department. Scotty, if there is any sort of difficulty that you cannot manage to solve on your own, you should definitely contact our Support Specialists - they will look into the problem and help you clear it up for good. Cool module, easy to understand and configure. And support is great, helps with any issue quickly and efficiently!